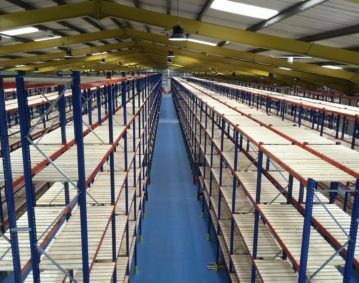 For many years Amazon have led the way with the use of automated systems in their warehouses, combining traditional human methods with cutting edge technology. However, until this point there has never been a fully automated factory anywhere in the world, although it was only a matter of time before one was created. That has now happened in Japan, where Mujin, a Tokyo-based start-up have created the world’s first fully-automated warehouse that requires no help from human workers. Their technology has transformed a JD.com warehouse into a facility of the future and they have plans to rapidly expand the use of their software. Mujin produce controllers that are about the size of a briefcase, and can serve as an operating system to control hardware made by any robot manufacturer. There are typically two of these controllers used in any installation – one for vision and the other for motion planning. The aim of these controllers is to automatically generate motions for the robots, which would remove the need to manually teach the robots. According to Mujin, this will improve efficiency and make for a more productive warehouse environment. The technology uses a combination of motion planning and computer vision, which enables the robots to move autonomously and intelligently. When the 40,000-sqm JD.com facility was opened in June 2018 it instantly turned heads due to its impressive set-up. It comes equipped with 20 industrial robots that are able to pick, transfer and pack goods by using crates moved along on conveyor belts. This system is aided further by use of camera technology and Mujin’s vision and motion planning controllers. Elsewhere in the facility, merchandise is carted around by robots onto loading docks and trucks ready for shipping. The robots used in the warehouse are smart machines that have been programmed to perform a specific task. This allows every position of every joint to be tracked down to the millisecond, which significantly minimises the possibility of errors occurring. Each of the controllers feature fast microchips that can handle the burden of extremely large computational processes. With this software installed, they can evaluate a huge range of possible manoeuvres, before the best one is selected in less than a second. Back in 2012, Amazon purchased robot company Kiva Systems and have been deploying automated technology in their fulfilment centres ever since. The key differential between Amazon and this new layout is that no humans work on the floor of the JD.com warehouse. Amazon employ around 400-500 workers in each fulfilment centre, and Mujin’s system requires only 5 employees be present. However, their job is not to run any of the operations, rather, they are there only to service the machines to ensure they remain in good working order. Mujin currently offer their software as a customisable service. However, their plan is to move away from offering this model to every client, and to create a standardised automation package in America. This will make it more accessible and affordable for the vast majority of businesses, and could pose a further threat to employment levels in the industrial sector. Concerns about the impact of automation have already been raised for a number of years, although Mujin’s system proposes to dispose of nearly all human assistance. Yet, there is a strong case to be made that fully-automated warehouses will not be detrimental to jobs. Traditionally, the introduction of technology and robots has created more jobs. Japanese car company Toyota are a perfect example. They have fully embraced automation and have since grown into the biggest car company in the world. This has allowed to accentuate human craftsmanship to improve manufacturing while becoming a more efficient operation. Mujin’s technology looks set to transform warehouses as we know it – but it is likely to be a positive change that will benefit businesses, staff and customers.